6 years 16 weeks ago. 7 years 11 weeks ago. 7 years 15 weeks ago. 7 years 16 weeks ago. 7 years 19 weeks ago. 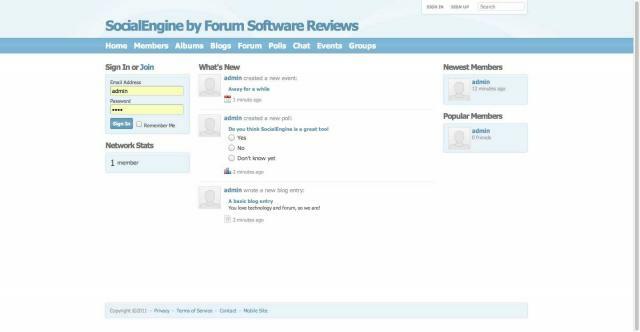 Need to Host your SocialEngine Forum? Our best selection of plugins for SocialEngine. For more information, consult the full list of Mods/Plugins and Official Plugins (non-free). You know a good Tutorial Screencast of SocialEngine?